Sydney Harbour is a picture from any angle. But if you want to see it from a new angle, it’s hard to overlook a cruise. Sydney crawls with cruise vessels housing visitors enjoying Sydney Harbour’s iconic scenery and skylines while dining with family and friends. 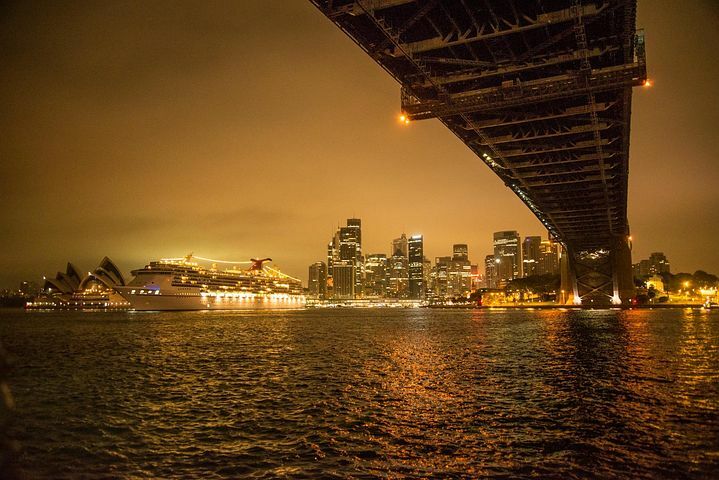 Whether you want to see the Harbour alight on a night cruise, relax through a floating high tea or make an extra special occasion of Christmas, there are many surprisingly affordable memories to make on Sydney’s cruise vessels. Here are four cruises close to Song Hotel Sydney that there’s lots to like about. Magistic Cruises is a small cruise vessel company specialising in quality dining experiences for all budgets. Whether you elect for a short or long cruise, day or night, it will be on a modern vessel largely reminiscent of a superyacht. As your cruise vessel advances on the Harbour water, you have your pick of three big decks to enjoy champagne and Instagram-friendly views on. The buffet of fresh seafood, salads, mains and desserts is for the reserved-table dining area and there’s accompanying GPS commentary to enhance the meaningfulness of your experience. 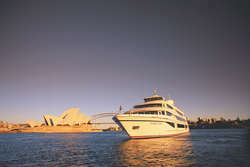 Harbourside Cruise’s Harbour Spirit, a deluxe catamaran offering two levels of memorable entertainment experiences for cruise hounds, co-stars with Sydney Harbour on these cruises. The spacious vessel features inviting modern decor and two expansive decks made for marvelling at the Harbour. Corporate functions and big events like Vivid and NYE are celebrated alongside everyday cruising occasions (that don’t feel everyday at all). Harbourside Cruise’s dining saloon has wait staff service tables for lunch and dinner and there’s a dance floor space that’s known to get properly trodden as cruises settle in. Whether you’re fixing for a low-key cruise experience or something a little more upbeat, Harbourside Cruises is accommodating. Clearview Glass Boat Cruises offers a premium cruise experience with premium views to match. The Blue Room, a unique vessel big on windows, is blessed with 360-degree views of the Harbour. Its retractable roof is a haven for drinks, canapés and eyefuls of skyline. If you like an excuse to get dressed up, this is a good cruise, as the dress code is semi-formal and up. It’s not kid-friendly but that’s an opportunity to get loose as you enjoy the buffet, cocktails and three-course menu options. Since you are wondering, yes, Captain Cook Cruises is Pope-friendly. Back in 2008, Captain Cook Cruises carried Pope Benedict XVI on its Captain Cook Cruises Sydney 2000 boat as part of World Youth Day. But that’s just one of the many stories the national company has had to tell since starting in Sydney in 1970. 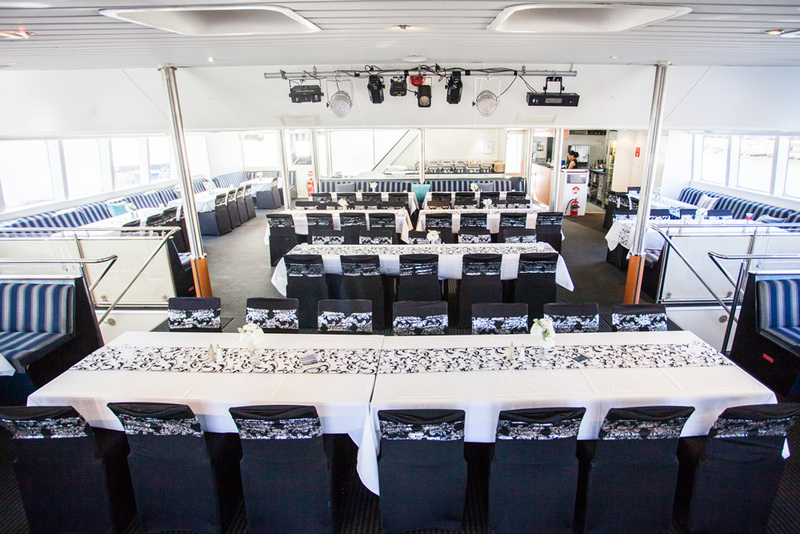 Captain Cook Cruises offers day and night cruises from a fleet of restaurant, sightseeing, sailing and ferry vessels that can hold up to 2000 guests. You can head out from the Harbour to watch whales. You can learn stories of Sydney on a sightseeing adventure or you can even enjoy a free birthday cruise if you’re willing to sign up to the company’s member benefits club. Captain Cook Cruises excels in comprehensive breakfast, lunch and dinner menus for every kind of cruise event and budget.